All-Star Weekend&apos;s "Mirror" Foamposites were one of the year&apos;s biggest releases, and we&apos;re learning there&apos;s one more lustrous Foam on the way before the end of the year. Nicknamed "Blue Mirror," this latest Foamposite One colorway is essentially a shiny flip on the O.G. "Royal" Foams made famous by none other than Penny Hardaway. 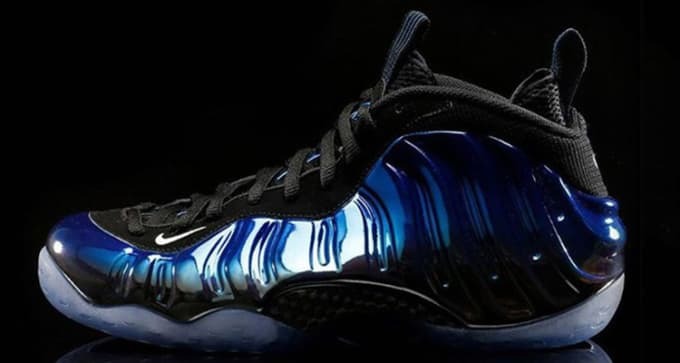 Here, the traditionally matte finish is replaced with the same chrome-like coating found on the "Mirror" Foams, except in blue. This new pair doesn&apos;t appear to have any of the additional details found on the February release, but that shouldn&apos;t deter too many &apos;heads from copping these. 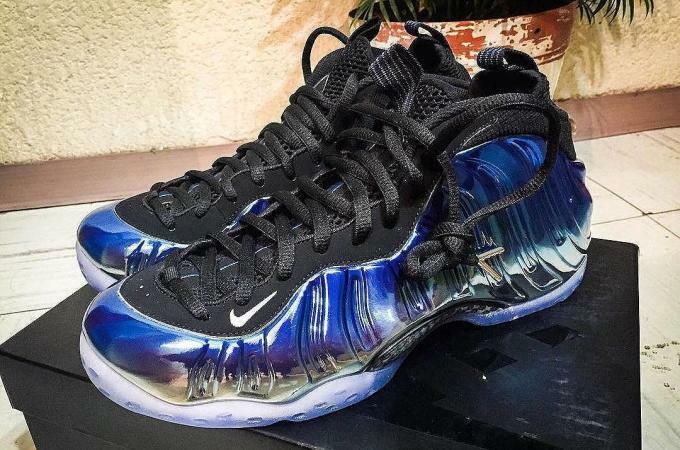 Hopefully, this version won&apos;t run into any of the paint peeling issues found on the previous "Mirror" Foams. These are officially set to drop on December 31, making them the perfect shoes for your New Year&apos;s plans.